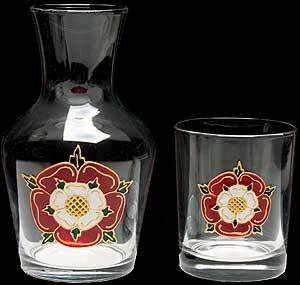 The Tudor Rose with its red outer petals and white inner ones symbolised the union of the two royal houses. The White Rose represents York whilst the Red Rose represents Lancaster. The Tudor Rose design is reminiscent of the Tudor Age.